The on-going campaign in Indonesia, to ban and persecute the Ahmadiyya Muslim Community underscores the challenges facing the nation in protecting human rights, forging a secular identity and strengthening the spirit of democracy and rule of law. It is worth recalling that freedom of belief is a fundamental human right, guaranteed by the Indonesian Constitution, and no citizen can be denied this right on the grounds of his or her beliefs. Any thinking citizen would agree that as a religious order, the Ahmadiyya has every right to preach and propagate all of its doctrines and beliefs. It is immaterial for a secular state whether the beliefs or ritual practices may or may not conform to the beliefs and practices of the other denominations in Islam. The religio-political campaign obviously seeks to discredit the teachings of the Ahmadiyya community and to call attention to the "danger" faced from this intrinsically peaceful sect of Islam. Instead of displaying sectarian intolerance and moral bankruptcy, the orthodox leadership would do well to engage the Ahmadiyya Muslims in a theological, civilized, intellectual debate and thereby show a modicum of respect for the faith, intellect and convictions of ordinary Muslim citizens and others. The sectarian politics of religious mobilization and its current manifestations will have divisive implications for the country's plural future. Clearly, banning the movement to prevent its spiritual appeal or declaring it a non-Muslim minority to stop its growth is not the business of a secular government. Leaders of the country and conscientious citizens would do well to reflect over the politically disastrous and socially divisive legacy of Pakistan's experiment with the criminalization of the Ahmadiyya sect. Social scientists and political analysts have, in recent times, traced the growth of Muslim extremism and cultural intolerance in Pakistan and elsewhere, to the divisive politics of anti-Ahmadiyya rhetoric. At one level, what is at stake is the very notion of human rights and rule of law in a secular democracy. Extremists and right-wing Muslim orthodoxy should not be allowed to dictate the future of Indonesian identity. At another level, perhaps even more importantly, what is at stake for devout Muslims is the very meaning of being a Muslim in our times. After all, the Holy Qur’an explicitly states: "Let there be no compulsion in matters of faith." Islam's plural character and legacy of religious tolerance needs to be defended, ironically enough, against an "orthodoxy" that claims to represent it! In an article published on The Hindu, one of India’s leading newspapers, on June 15, 2013, Pallavi Iyer has thrown searching light on the persecution of Ahmadis and other minority religious denominations and the growing signs of cultural intolerance in Indonesia, the world’s largest Muslim country. Mauritius is an island-state situated in the Indian Ocean with a population of over a million, belonging to numerous ethnic/religious/linguistic groups, including the Hindus, Christians and Muslims. After centuries of colonial mercantile interests that caused and brought about waves of immigration from South Asia and elsewhere, the country today has the Hindus as the largest ethno-linguistic and religious group while the Muslims (at around 2,00,000) constitute a minority with around 17 per cent of the national population. With the attainment of independence from Britain in 1968, the country adopted a secular and democratic Constitutional framework and all social groups, thus, enjoy full freedom of worship and performance of religious rites and rituals. As the dominant community, the Hindus, however, continue to occupy important political and administrative positions and enjoys certain other privileges. On the contrary, the minority Muslim community remains to be on the social periphery with many grievances yet to be addressed. In his Friday Sermon of June 07, 2013 the Khalifatullah Hadhrat Munir Ahmad Azim Sahib (atba) of Mauritius has called attention to the several problems and legitimate grievances of the Muslims of Mauritius, including on the twisted Hajj policy of the Mauritius Government. 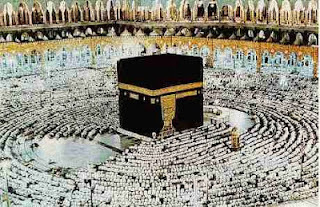 The spiritual pilgrimage to Makkah (in Saudi Arabia) for the performance of Hajj is one of the fundamental religious obligations of Muslims, wherever they are. In our times, thanks to improvement in transportation linkages and communication facilities, millions of Muslims engage in the preparation (of a life time) to make that august journey to Makkah. The Saudi Arabian Government has thus been constrained to delimit the number of believers assembling at the Holy City at this most important period of time due to logistical and accommodation/space- related concerns. Thus, countries have been allotted Hajj-quota (limiting the number of persons who will get visa to perform the Hajj in a specific year) and the opportunities to receive the visa are limited. In the case of Mauritius, it is observed that influence-peddlers and other vested interests exercise undue influence to bear on who gets the recommendation for Hajj visa under the national quota. The politician-ministers tilt the scales in favour of their own cronies and other elite sections, leading to the unjust deprival of the opportunity to perform the Hajj to common Muslims who may be saving all through their lives for the purpose. Thus, year after the year, the same set of people-who are highly connected and politically influential- manage to get the visa and go for the Hajj, though it is not mandatory to perform Hajj more than once. On the contrary, most poor Muslims who may save for many years to go and perform the Hajj may not be able to get even the visa. The political leadership in the country essentially seeks to manipulate and exploit the divisions within the minority Muslim community and has virtually ignored or put on cold storage the important concerns of the Muslim community, including the need for an embassy in Saudi Arabia, which would facilitate the negotiations for an increase in the Hajj quota as well as in seeking trading and other labour market opportunities. 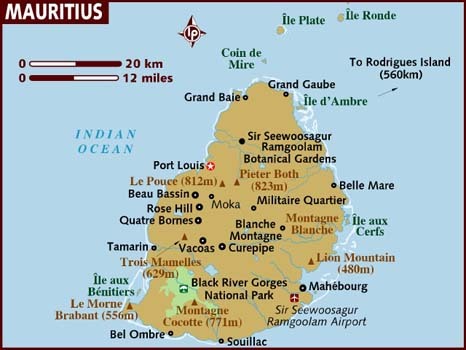 Even at the risk of being labelled “communal”, one may have to warn that both secularism and democracy in Mauritius are under threat from racist vultures in its body politic, feels the Khalifatullah (atba). When the minority Muslim community’s religious rights- to go on pilgrimage to Makkah for Hajj- and their social, administrative and economic progress within the country are being thwarted surreptitiously, it points to the presence of communalism on the body politic, points out the Khalifatullah (atba). Further, the Sermon provides illuminating guidance to the Muslims to come out of their predicament by paying attention to their community identity and the responsibilities of solidarity being conveyed through the Divine Messages available in their midst. In the Friday Sermon of May 31, 2013, the Khalifatullah Hadhrat Munir Ahmad Azim Sahib (atba) of Mauritius invited Dr. Nasir Ahmad Sultani Sahib of Jamaat-e- Ahmadiyya (Haqiqi) to a Mubahila duel to finally determine the truthfulness of their respective claims. In the aftermath of the Speech, the Sultani Sahib issued his response on June 1, 2013. In the response statement, the Sultani Sahib maintains and continues with his earlier stand of rejecting and vilifying the viewpoint of Hadhrat Khalifatullah (atba) and his claims. Yet, the Sultani Sahib has refused to come in the field of Mubahila now, by raising a revolving door-set of arguments. Sultani Sahib is absolutely certain that the duration of the Mubahila, according to Islamic teachings, “should be fixed 1 (one) year”. According to him, if the period of Mubahila is varied from one year- for instance: say, any period more than one year, including two years- by the parties to the Mubahila for any reasons whatsoever, it would not be permissible under Islamic law nor acceptable to Sultani Sahib. Further, Sultani Sahib considers such a variation of period “a wrong condition” of Mubahila. Although Sultani Sahib did send an official e-mail on 12 December 2011 whereby he “accepted the Challenge” of Mubahila made by Hadhrat Khalifatullah (atba), he did not complete the minimum requirements for the world to know that he is indeed in a Mubahila (such as signing the Mubahila document and notifying the world by publishing it in his website). At least, now we know: the ‘reason’ for not joining in the Mubahila challenge at that point of time was this “wrong condition”! Sultani Sahib now refuses to join the Mubahila Challenge with Hadhrat Munir Ahmad Azim Sahib (atba). This is because of the presence of the 2-year Mubahila between Hadhrat Sahib (atba) and Abdul Ghaffar Janbah Sahib of Germany. According to Sultani Sahib, the Islamic period of the Mubahila-“one year”- is over and both have been proved to be “liars”! If the ‘result’ of the (non-Islamic) Mubahila between the two is crystal clear to the “Mujaddid of 15th Century of Islam”, why should he wait for a longer period to prove his own truthfulness!?? In a special Booklet issued on June 2, 2013 the Khalifatullah Hadhrat Munir Ahmad Azim Sahib (atba) has prepared and personally signed an Official Mubahila Document with “ONE YEAR” as the limitation period. Dr. Nasir Ahmad Sultani Sahib has now the option to “come forward and sign” or move away and “keep quiet” on the matter!